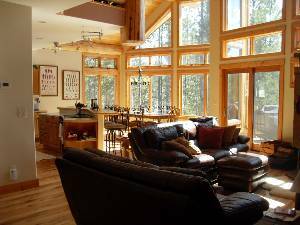 Beautifully furnished 4 bedroom/4 bath family house in Fraser Valley with views of Continental Divide and Byers Peak. 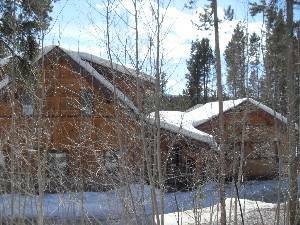 Located 10 -15 minutes from Winter Park Ski Resort. 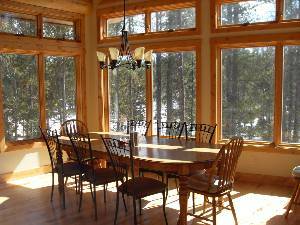 Surrounded by 600 miles of mountain bike and hiking trails and/or cross country ski trails. Fully-equipped kitchen seats 8-10 with room for 5 at the kitchen bar. Log furniture throughout. King bed in master bedroom with oversized shower with steam, Queen beds in two upstairs bedrooms and downstairs includes 2 bunk beds, Queen and a sleeper sofa. Perfect for a family reunion or two families. 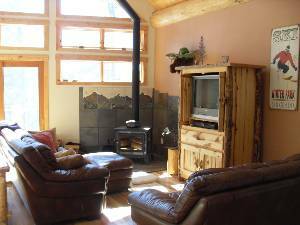 7 person Hot Tub, cable,TV/VCR/DVD, phone, and cozy wood burning stove (free firewood). A large grocery store (Safeway) conveniently located 1 1/2 miles away. 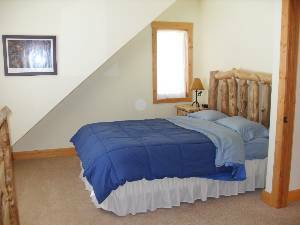 Come and enjoy a relaxing vacation in the Rockies... Reserve your vacation now! 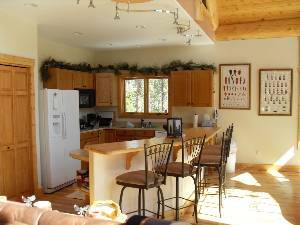 This vacation rental has: hot tub, fireplace, ping-pong, phone, cable TV/VCR/DVD, wi-fi internet, full kitchen, microwave, coffee maker, toaster, dishwasher, blender, slow cooker, coffee grinder, cookware, utensils, washer and dryer and linens provided. Activities and Attractions around Winter Park Colorado: Summer- hiking, mountain biking, fishing, hunting, wildlife viewing, horseback riding, golf, tennis, shopping, swimming, rafting, rodeos, music festivals, water skiing, boating (Grand Lake or Lake Granby), balloon rides, alpine slide, visit Rocky Mountain National Park (30 minutes). Winter- downhill skiing, cross country skiing, sleigh rides, snowmobiling, snow tubing, snow shoeing, and dog sled rides. Water sports Lake Granby (15 miles away). Lots of room, sun, and privacy. wood stove (free firewood), cable, TV/DVD/VCR, and lots of games. Room for 10 at table. Full kitchen, all amenities included. Island bar for buffet or additional seating. Queen bed, dresser, nightstand and large closet-shared full bath. 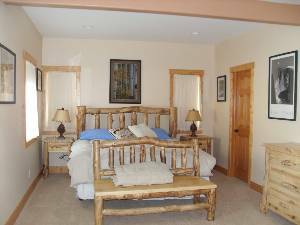 Main level master with King bed and full bath including large steam shower. Great Condo!! Very Clean!! Well stocked with kitchen supplies, towels, bedding. Board games for kids on rainy or extra snowy days! 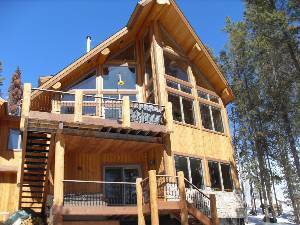 Close to winter ski areas, horseback riding, rafting, etc all within 10mins to an hour! Deposit: Upon receipt of half rental deposit, the reservation will be held. Directions, lock box code, etc. will be forwarded after receipt of full rental payment (due 4 weeks before arrival). Cancellations and Refunds: We're reasonable. No cancellations or refunds unless extenuating circumstances occur. Other Fees: State. local and lodging taxes included (~10%). No cleaning fee for 5 or more nights. Additional cost for paypal (CC) use. Required Stay: 3 nights, 5 nights Christmas.